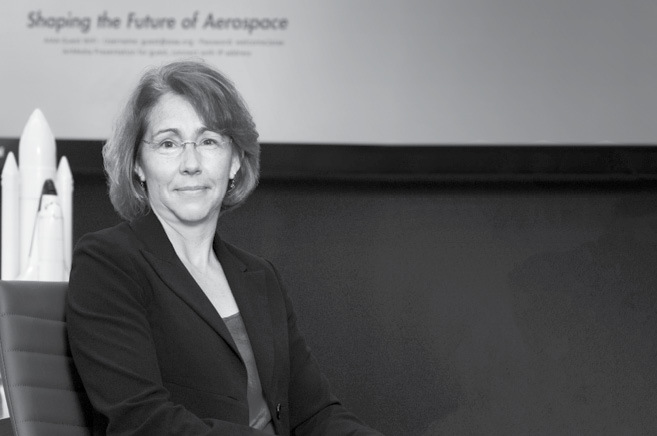 For a woman who flew three space missions, including a four-month stint aboard the International Space Station conducting experiments, installing structural upgrades and blogging about it with children, Sandra Magnus, Phys’86, MS EE’90, is low-key about her legacy. Last year, Magnus got her answer, when a young fan circled back as a college senior to say thanks. Magnus flew her first mission to the International Space Station in 2002 aboard the space shuttle Atlantis. 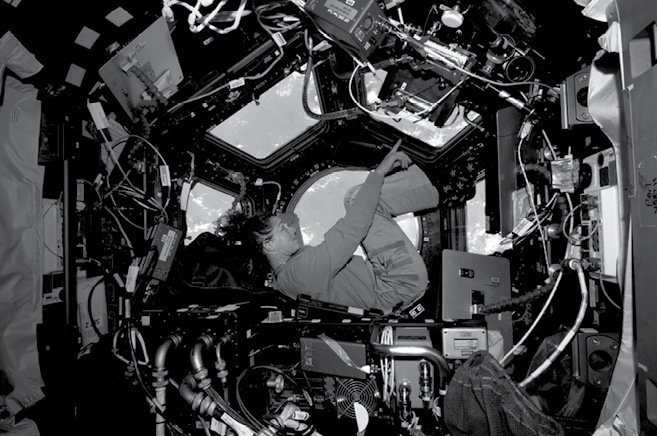 She returned to the space station in 2008 for a four-month assignment as a science officer — and an inspiration to hundreds of children through her “spacebook” blog hosted by Missouri S&T. She made her last flight in 2011 as one of four crew members on the final journey of Atlantis, the mission that closed the book on NASA’s shuttle program. She continues to mentor future generations of scientists and engineers — and to make a difference at Missouri S&T. She visits campus to talk with students, and she supports the Kummer Student Design Center, the departments of physics and electrical and computer engineering, and athletics (Magnus was an intercollegiate soccer player). Although she doesn’t spend much time beyond the reaches of gravity anymore, Magnus still enjoys a good space film. The Martian is her favorite for sentimental reasons. “It’s the only film that made me homesick for space,” she says.